I'm really excited to feature this guest post from an amazing author. Kristin Smith wrote one of my favorite books I read last year, Catalyst, and now she has another read coming out called Forgotten. Makes sure you stop by tomorrow for more info on her awesome new book. 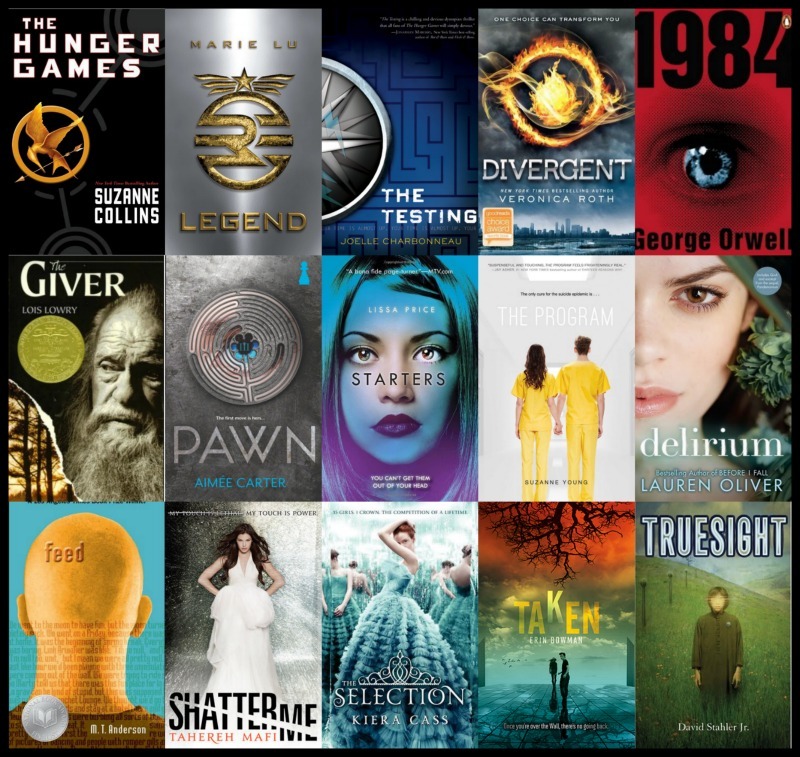 After the rise of popular novels like Hunger Games, Divergent, and The Selection, publishers started chasing the next trend. And it was NOT dystopia. I recently wrote a blog post about whether or not dystopian novels are dead. And the consensus is that they are indeed NOT dead. They are still kicking and thriving and readers are enjoying them more than ever. So if you haven't hopped on the dystopia train yet, why should you? I'm about to give you 10 Reasons Why. 1) Dystopian novels typically take place in a futuristic time period, often after an apocalyptic event. The society is different, rules are different, and this can make for some pretty interesting plots. 2) There WILL be romance, and there may even be two love interests, creating an intriguing love triangle. I mean, come on, who doesn't enjoy a good love triangle? 4) The heroine will likely be different from everyone else, but also completely relatable. You'll laugh with her, cry with her, and scream with her. She'll be like your best friend—only better—because she's also pretty kicka$$. 5) There will be at least ONE character who provides some comic relief. Because let's face it, when there're bombs going off and buildings are tumbling, you NEED someone to lighten things up a bit. Cue the funny man. 6) There's never a standalone book. It will most definitely be a series, making you wait and wait for the next one to release so you can finish reading all the epicness. Doesn't everyone love a good wait? No? Well, series are still pretty awesome because you get to be with the characters even LONGER! 7) When you're finished reading, you'll close the book and reflect for at least three minutes on the meaning of life and if anything you've read could possibly come true. Chances are, it could. 8) You'll find yourself comparing your significant other to one of the hot guys (or cute girls) in the book. And thankfully, your significant other will win out every time, especially once you come to grips that these characters aren't REAL. 9) Dystopian novels are often filled with blood, carnage, inhumane acts, and loads of hopeless feelings. My favorite things to read about! 10) Someone inevitably will die, and you'll end up crying big, fat, ugly tears with lots of snot, and you'll go through half a box of tissues. But that's okay. All you have to do is tell yourself that you never really liked that character anyway. That makes it all better!